Implant, for various reasons, instead of lost teeth, artificial titanium tooth roots placed into the jawbone. Implants and prostheses than conventional coating provides a good speech and chewing function, your face will carry with them a natural appearance. Implant, comfortable and safe practice. The operation can be done with local anesthesia without any pain and discomfort. When necessary, also be applied to general anesthesia. However, you must keep in mind that, for the implementation of the implant, healthy gums and adequate bone structure must be present to support the implant. Implant teeth lost for various reasons, instead of artificial tooth roots placed into the jawbone. Dental implants are what matter? 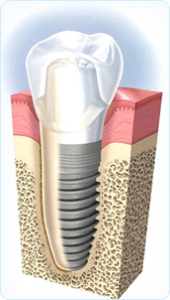 Is an application that implant treatment is comfortable and safe? Implant treatments with a team of expert, reliable and comfortable as long as the sterile environment of a full application. The other component of creating a prosthetic implant surgery, a foot treatment is the process. Therefore, a comprehensive oral and maxillofacial surgery with prosthetic specialist expert very important to work in harmony with each other. The implant can be applied to whom? The success of implant treatment, depends on the adequacy of jaw and jaw bone. Patients without adequate bone density is low density regions made ​​artificial bone implant operations gerçekleştrilmektedir powder application. Although there is no upper age limit for implant treatment, over 18 years old that have completed the development of bone implant treatment can be applied to all patients. In addition, uncontrolled diabetes, blood pressure, blood clotting problems and severe heart disease before the doctors of operations without the permission of the kişilereimplant gerçekleştirilmemektedir operations. Pain is felt during the implant surgery? With the patient under local anesthesia during the operation of the implant into the mouth, do not feel any discomfort or pain. If the pain be felt after the operation, used in daily life can pass with no pain relief. 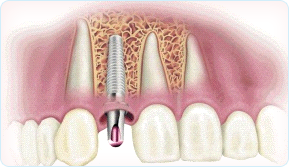 Implant operations can be performed under general anesthesia? Implant surgery, the patient’s request and can be done under general anesthesia, depending on the state. How long will the implants be placed into the mouth? The implant will be placed into the mouth of the operation period, the number of implants, depending on the time of placement of an implant is approximately 15-20 minutes. Tooth extraction can be done immediately after the implant? There are 2 different applications dealing with this issue. If there is any inflammation or a defect in shooting, as soon as he can be bölgeyeimplant. If there is any defect, however, in shooting, artificial bone powder application made ​​in this area until about 2 months waiting for the shooting location and time of healing. How much is expected after the implants for dentures? After the integration of the implant with the jawbone for the implant operation should be waited until 2-4 months. Need an implant for each missing tooth? Do not need an implant for each missing tooth. If you have more than one missing tooth in the mouth in the same area 2 or 3 single implant can provide the opportunity to make dental prostheses. The prosthesis implant after application to form the structure closest to the natural tooth. • Provide better chewing and speech function than traditional dentures. • Other than the aesthetic look, and dentures. • Thanks to the lack of dental implants can be removed intact adjacent teeth intact. • Conservatism enhances dentures. That is to say, especially in the lower jaw is very low total adhesion to prostheses. Therefore, even in patients without adequate bone level, the lower jaw 2 implants, placing increasing conservatism. How long will my dental implant? Observed lifetime of implants is that smooth. However, there are many factors affecting the longevity of the implants. How important is the beginning of their patient’s oral hygiene. What should be the maintenance and cleaning of the implants? • Every day for at least 2 times a prosthesis must graze properly. Effective brushing techniques, you can get information about the doctor. • Environment between the teeth to remove food residue and the accumulated around implantınızın interface is useful to use to a toothbrush or dental floss. • Patients had severe gum disease and oral hygiene in order to ensure individuals who use non-shower must use mouthwash or mouth. Dental implants are guaranteed for life? All applications made ​​under the implant clinic is covered by a lifetime warranty. implants, the risk of cancer or have allergies? Implants, there is the possibility of allergies or cancer. Implant applications Is it an expensive treatment? Implant applications, as was thought at first glance, an expensive treatment, the patient benefits (comfort, aesthetics) in terms of the opinion that there is an expensive treatment. implant is to be left if there are drugs used in continuous operation before? Control of continuous use before the operations of the implant a few days your doctor may need to stop some medications. For this reason for being in touch with your doctor and dentist before the operation there. an implant-supported prosthesis must be removed from tonight? 2 sort of implant-supported prostheses. First, it is not possible to remove the implant prostheses, which are fixed prosthetic devices. The second is the total absence of teeth, dentures, also called the public taste in the mouth of the implant-supported prostheses to increase the paste that will be useful for this kind of oral hygiene to remove dentures at night. renewable implant-supported prostheses? Implant-supported dentures, of course, renewable. 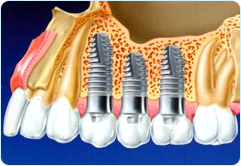 During regeneration, the earlier implants (screw part) remain in the mouth, the prostheses are renewed only on the implant. The implant-supported prostheses such as dentures, the other has a life. Denture care and oral hygiene, taking care to extend the life of prosthesis. Dental implants may be recommended for people who smoke? Smoking and alcohol use, and the process makes it difficult to extend the healing time after implant operations. For this reason, at least stay away from cigarettes and alcohol during the healing process of our patients require this. healing and during the waiting period after the implant operation kalınıyor toothless? Our patients do not have to spend this time with missing teeth. Prosthesis implant surgery until after the expected period of the temporary prosthesis for the patients are doing. return to social life after the operation, how long? Return to normal life immediately after the implant operation, 1 or 2 days then you can go to work.